Some of you may have noticed I’ve been eagerly awaiting Queen of Shadows, which will be released tomorrow. I mean, I did dedicate this entire post to describe the agony of the wait. Which is why I was delighted to find that Kelsey over at Don’t You Shush Me not only created this lovely tag, but also tagged me! Thank you, Kelsey! Favorite Book by Sarah J. Maas and Why? WHAT THIS IS TOO HARD. 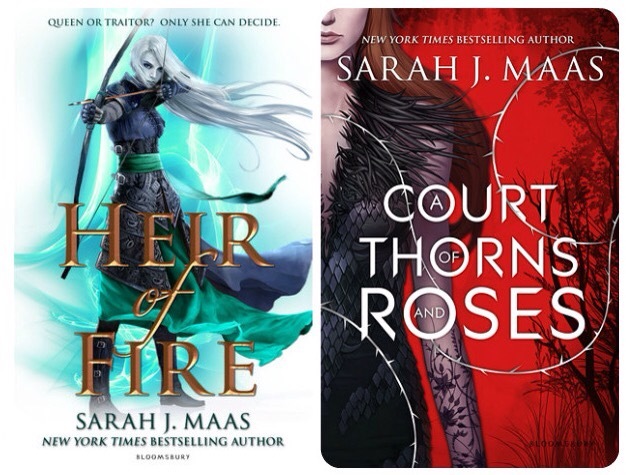 I’m going to have to go for a tie between ACOTAR and Heir of Fire. I loved both of these books so much, ACOTAR because I love both fae and retellings and Heir of Fire because fae, once again, and Rowan. Rowan was definitely a high point. Favorite Character in the Throne of Glass series and Why? Oh, hmm, let me see, ROWAN. Guys. Come on. Keep up. Though it was originally Chaol, but he was really getting on my nerves in Heir of Fire and Rowan was there being a faerie and all. Guys, a faerie. How Long Have You Had to Wait Between Heir of Fire and Queen of Shadows? I’m luckier than most, actually. I read Heir of Fire back in April, so I’ve had five months to wait, which is significantly better than a year, I’ll admit. But still. It’s been excruciating. What are your favorites out of the books that have helped you pass the time waiting for the next Sarah J. Maas release? Wow, this is a hard one. Well, my favorite books that I’ve read since Heir of Fire would be The Naturals by Jennifer Lynn Barnes and Just One Day by Gayle Forman. I would definitely recommend those two books! When do You Think You’ll get a Chance to Read Queen of Shadows? Tomorrow. As soon as it comes out. Please, I’m not an amateur. What Would You say to Recommend Sarah J. Maas books to Someone who has Never Read Them? Hmm, no, I don’t think I would be able to form coherent sentences. Since I’m not exactly sure who’s a fan of the series or not, I’m not going to tag anyone, but if the wait for Queen of Shadows is agonizing you, do this tag! YES ME TOO!! I just started QoS and seriously I want to slap Chaol, but there is Dorian..I’m not sure how I feel about Aedion, I JUST REALLY LOVE ROWAN! You MUST read them! I love them all so much, they get better with each book. You’re so lucky she’s coming near you, I hope you have fun reading the books and meeting her! I got the first three for Christmas last year and I haven’t read them but I’m still super excited for Queen of Shadows. I feel like this fandom is already pulling me in and I can’t wait to read them all! Sarah J Maas is coming to Brisbane in November so I’ve got to get through them all before then! Yeah…Well, a little obsession here and there is healthy, am I right? Thanks for commenting!